From March 18 to 21, 2019, the much-anticipated 23rd China (Guzhen) International Lighting Fair (hereinafter referred to as “GILF” or “the fair”) will be held at Guzhen, Zhongshan, Guangdong. By then, the GILF will become the focus of global lighting industry. This fair will take a lead in building a professional high-end platform connecting all sectors of the lighting industry to jointly create an international event serving the entire industrial chain. Innovation is the driving force for international cooperation. The GILF has always been committed to exploring market potential and creating new industrial trends. The fair will witness a number of incisive industry seminars, purchasing promotion activities, new product release meetings, etc., and the venue will bring together professionals from the front-end, manufacturing, wholesaling, retailing, terminal and other fields to share the latest developments and prospects of the lighting industry market, so as to upgrade the international exhibition platform, and extend the cooperation policy chain, capital chain, industrial chain and information chain, thus creating a powerful engine for development. 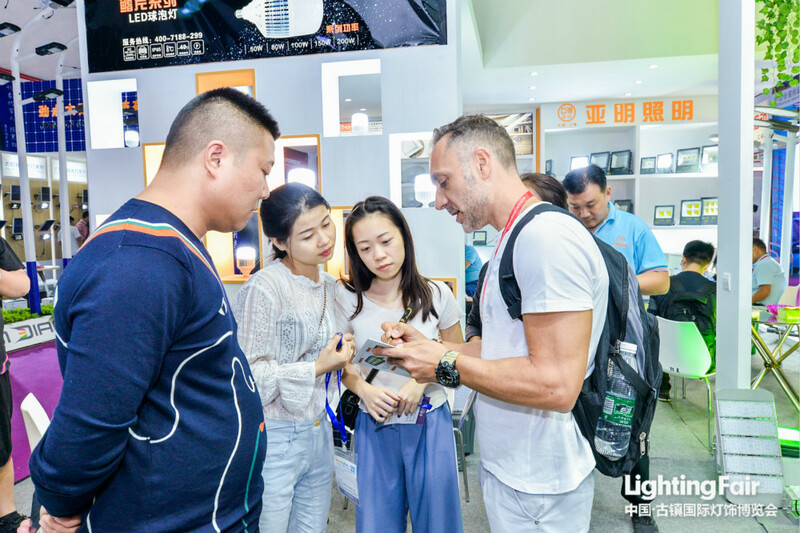 The fair will hold several high-end meetings and forums and bring together the industry experts and professional teams to discuss the latest trends, technological progress and enterprise development of the lighting industry. To further promote and accelerate the development of intelligent lighting products, the "Intelligent Lighting Products and Application Innovation Forum" organized by China Association of Lighting Industry and the Productivity Promotion Center of Guzhen Town will be held on the first floor of Guzhen Convention & Exhibition Center on the afternoon of March 18, where such issues as the innovative technologies and standards of smart lighting, smart homes, smart buildings, smart cities, and other system solutions will be discussed to lead the intelligent lighting to a healthy and orderly pathway. While warmly welcoming visitors from all over the world, the GILF will provide new opportunities and stimulate vitality. From March 18 to 19, the "Alibaba 1688 X Guzhen International Lighting Fair Online Purchasing Show" will be held at the C-T01 of Guzhen Convention & Exhibition Center, offering a cross-border e-commerce summit and a 48-hour live show feast to hundreds of thousands of online and offline professional buyers. In addition, the fair will work together with China Optical Network·Ming Classroom( www.cali-light.com) to create a series of online lectures in the lighting industry [GILF Live Show], and discuss in the side hall of Hall A with visitors and people online the new industrial opportunities, so as to provide new ideas for industrial transformation and development. 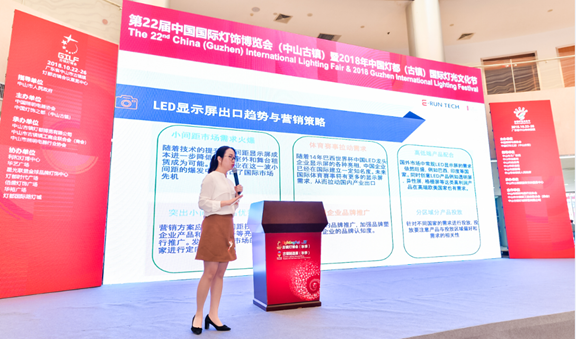 One of the most eye-catching events during the fair is the "Report on 2019 Market Trends and Overseas Market Expansion of the Lighting Industry" sponsored by Shenzhen Lighting and Display Engineering Industry Association on the first floor of Guzhen Convention & Exhibition Center from 14:30 to 17:00 on March 19. 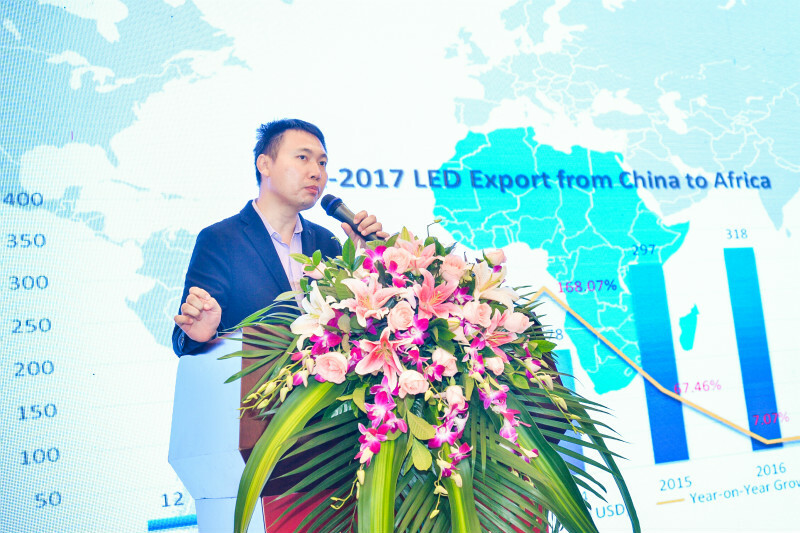 Such topics of new industrial changes in 2019, how LED enterprises enter overseas markets through cross-border e-commerce, and how GMC helps China's high-quality manufacturers to trade globally in the e-commerce era will be covered. During the fair, you can also hear the speeches of industry masters on analyzing the pain points of cross-border industrial upgrading and addressing the problems of enterprise transformation. This forum will never let guests down, instead it is bound to achieve win-win results ! In recent years, intellectual property issues have been plaguing enterprises. In order to help lighting enterprises better understand the latest regulations, on the afternoon of March 18, the "Opening Ceremony for Guangzhou Patent Agency Zhongshan Service Station & Speech on New Thinking on Overseas Intellectual Property Protection Against the New Situation", organized by Zhongshan Municipal Market Supervision Administration (Intellectual Property Office) and Guzhen People’s Government, will be held in the lobby of the first floor of the Star Alliance. This will enable enterprises to better understand the latest patent standards at home and abroad, and globally promote products and brands. In addition, the sharing session of “Innovating intellectual property protection and motivating lighting industry transformation and upgrade” hosted by Zhongshan Huapeng Hongyuan Intellectual Property Agency will be held on the morning of March 19 on the first floor of the Guzhen Convention & Exhibition Center, where guests can experience the exchange and sharing on corporate patent rights protection. In addition to above meetings and forum activities, some other product promotion meetings and industry exchanges will be held by many media friends and well-known enterprises. For example, Jinri Toutiao will hold “Douyin ×Lighting products” interaction activity in the light of current popular short video promotion methods in the event area of Hall C on the morning of March 19. On the afternoon of March 19, the "2019 Lighting Industry Category Salon", which focuses on the analysis and summary of the trends and breakouts of the major popular categories, will kick of on the morning of March 20, the “Lighting Industry Community Marketing Technology Sharing Conference” hosted by Lighting Brand News and the “Overseas Markets Analysis Meeting” will be concurrently launched in the event area of Hall C.
This fair will deepen the mode of “integrating the fair with shops and Internet”. 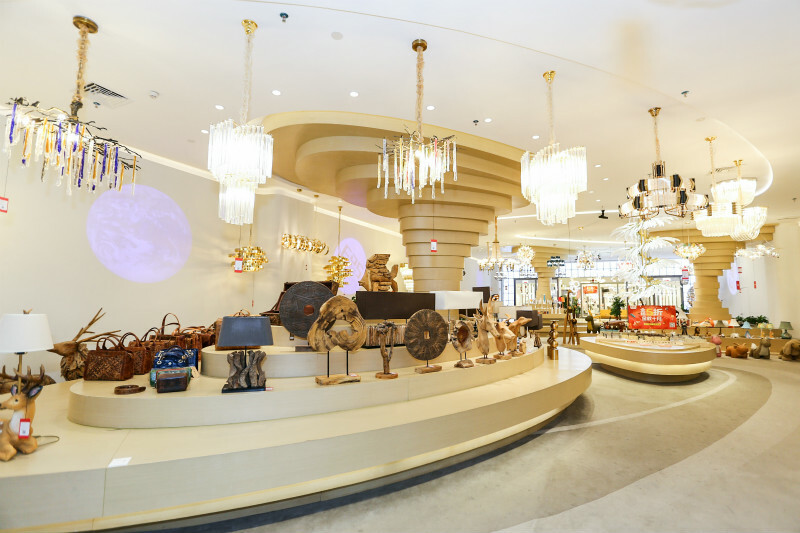 As an industry benchmark which has been striving to release market potential, the 23rd GILF joins hands with seven lighting shopping malls, including China Lighting Plaza, Star Alliance Global Brand Lighting Center, Besun Lighting Plaza, Lighting Era Center, Lihe Lighting Expo Center, Huayu Plaza and China International Streetlight City to fuel the grand event. With an exhibition area of over 1.5 million square meters, the fair has attracted more than 2,000 exhibitors, forming a great blueprint featuring interconnectivity of online information, products, exhibitors, meetings, activities, and transportation. 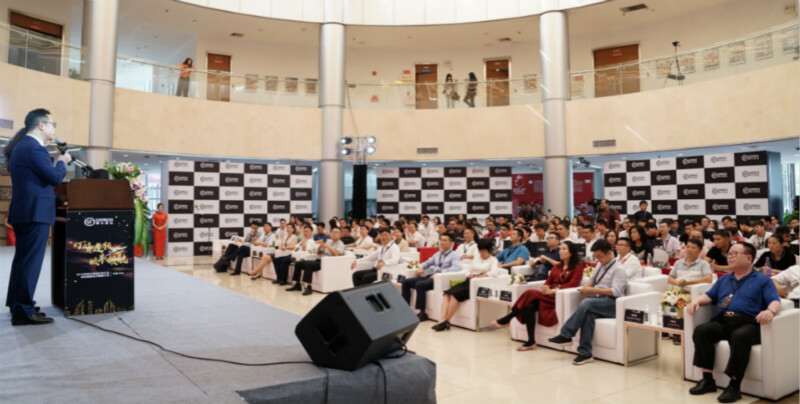 In terms of sub halls, “Lihe Global Purchasing 丨Global Lighting Purchasing Festival”, “2019 Huayi Plaza International Lighting Design Week and Global Lighting Purchasing Festival”, “2019 Star Alliance Spring Purchasing Festival”, “2019 Besun Spring Purchasing Festival, “2019 Huayu Plaza Spring Appreciation Meeting”, and the “5th CISC Global Outdoor Lighting Purchasing Festival” will be held concurrently to warm up the purchasing enthusiasm and further energize Guzhen as “China Lighting Capital”. At present, the pre-registration system of the GILF has been fully opened in the official website, denggle.com, official WeChat account and other channels. Guests can visit the official website www.denggle.com and follow the WeChat official account “GILF” to get free admission ticket worth RMB 100 and enjoy a four-day lighting carnival.